An eclectic collection of vintage inspired bottle caps. 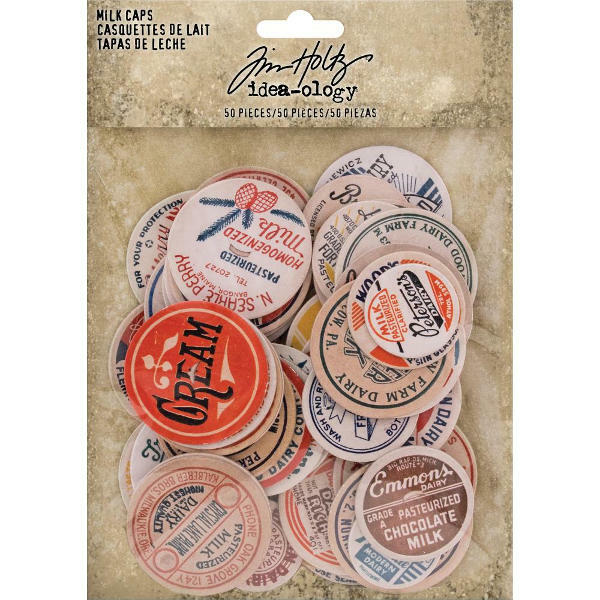 These milk caps will add a vintage look to your craft project! This 5.25x7 inch package contains 50 chipboard milk caps in assorted designs and sizes.